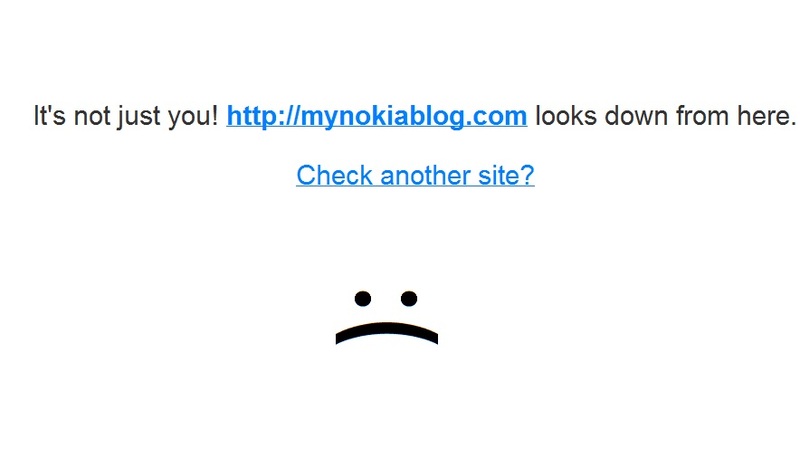 Yesterday you may have noticed a significant down time at mynokiablog.com. Either the site would fail to load or would take forever to load, making it impossible to publish new posts or even stay afloat for the already posted one to be read and commented on. Apologies for the inconvenience and frustration. The traffic was nothing we hadn’t dealt with before and I thought it was due to a system wide issue that our host was facing. I hoped it would be a temporary thing but the downtime became much longer and more frequent. Our host was extremely helpful in guiding us through the options that would help remedy that situation (very good email and chat support with Steven, Chris and Kacy). For best long term performance for our readers, we have finally upgraded our hosting. This may mean that we can handle higher traffic spikes, and if it does go down, I can reboot myself and get back online much quicker. This may need two things which I want to run past you guys. 1) Thank you to all those who tweet and email us to say whether they can access mynokiablog.com. This will become even more useful in future as we manually monitor the traffic and reset the machine ourselves. The best place to get in touch is by emailing jay[at]mynokiablog[dot]com or tweeting me @jaymontano. 2) I’m not specifically sure how much its going to cost, but it may finally mean putting in more adverts. We’ve had plenty of offers to put up ads, but I don’t want the blog to ever be more advert than content, and at least have as relevant and ‘useful’ ads as possible. I’ve had a couple of readers suggest a donation model, but I’m not comfortable with the kind of responsibility that holds. Although I spend a heck of a lot of time blogging, I don’t want to commit to posting because I’m obliged to, I just want to post because I want to share something with our readers (and hopefully, this is at flexible times around my free non study times). It’s kind of odd, but I just never want this blogging thing to feel like a job. It’s one of my non-work, non-uni activities that I love doing and find relaxing. I get a buzz from feeding my Nokia obsession and getting connected to others who love Nokia too. It’s a whole different world of tech, phones, geeky Nokianess that I can’t really express ‘in the real world’. Ads, for now, I reckon might be the best way to go about it. On the upside with improved hosting, we may be able to handle higher bandwidth which means we might be able to use a plugin that creates a mobile version. The reason we have not had one before was that activation of the mobile plugin resulted in failed caching, over use resource and site would not load. The next 24-48 hours, any feedback on loading times would be appreciated. That’s it for now. If you do ever want to check if the site is up, one place to see if this is system wide is: http://www.downforeveryoneorjustme.com/mynokiablog.com. Sometimes, if the site takes too long to load, that will say it is down.